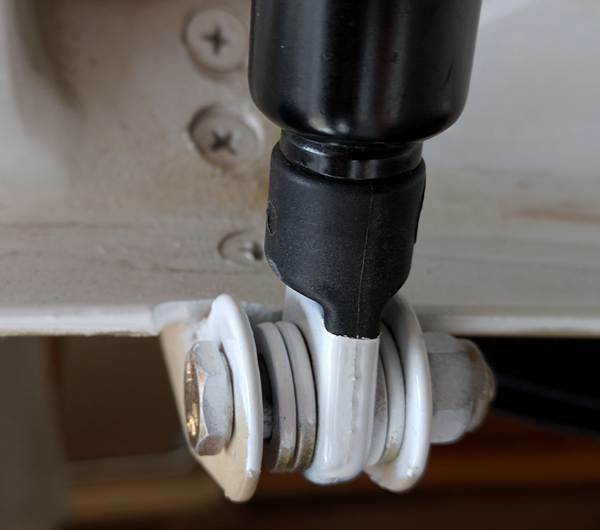 RV-10: The story of new door struts or how to prevent your airplane doors from hitting you or your passengers on the head. The old struts never worked reliably for me. 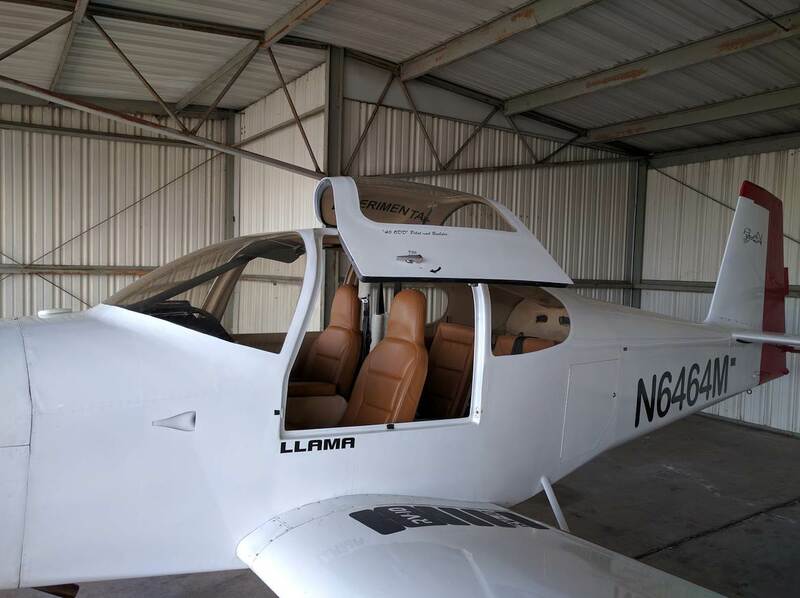 Even when I bought the airplane, they would barely hold the door up and the left door strut would give in at any hint of wind. The passenger side door strut was a bit stronger but, with time, it gave in too. The end result was that both doors needed to be held up manually if you didn’t want to be hit on the head at the slightest gust of wind. That, obviously, was not a good thing so I started doing a bit of research into what is considered a reliable strut for an RV-10 door. 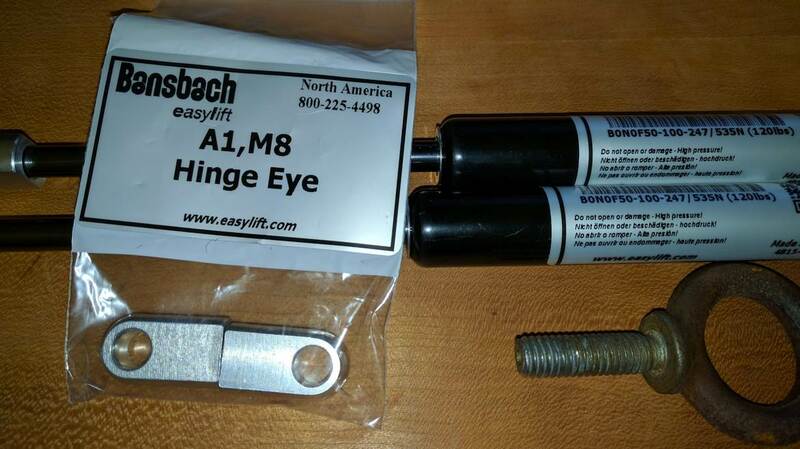 ​After doing my needful on the research, it turned out that people who buy Bansbach Lift custom struts are happy with their purchase and can recommend their purchase to others. I went in and ordered two struts and four mount points. For interested parties providing links and specifications below. I picked up the custom force of 530N (120 lbs). 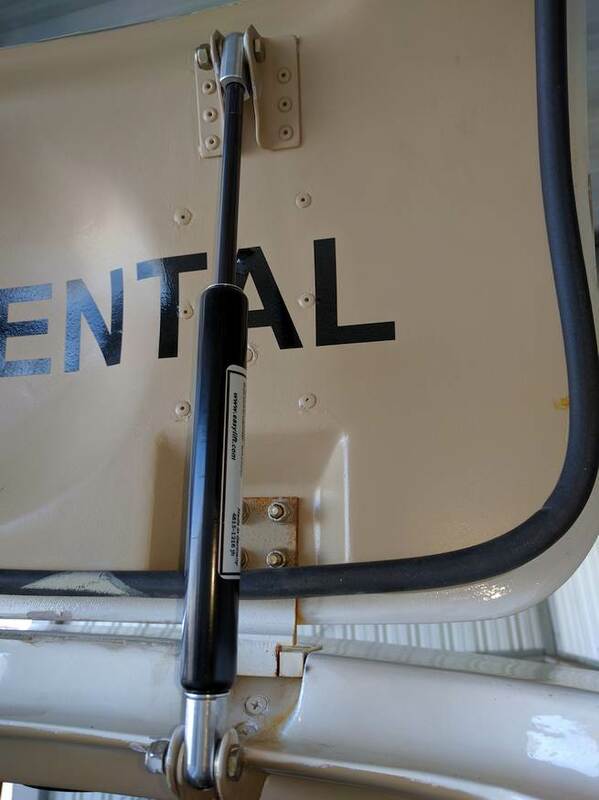 That allows the pilot door to be held in place in pretty much any position. The passenger door opens up the whole way with the same force strut. The strut mount points seemed the standard Van’s mount points. No modifications, maybe some of less than careful paint work. You can see the paint remains on the struts as well, I am wondering if that helped the strut to wear out faster. It turned out that even at fully extended position or at fully closed position, the mount point was still loaded by a considerable force. This became apparent when I removed the nut and the outside washer and tried to pull out the bolt. That did not work, and the bolt became stuck. I finally managed to get it unstuck using a small hex key from Ikea holding the old strut on the mount point while the bolt was removed. Removing the hex key was then much easier than removing the loaded bolt. I did not make the same mistake twice and the replacement of the strut on the second door went much quicker. … I can be sure that the door won’t hit me or a passenger in a gust of wind. I was able to test it pretty much the next day. I flew down to San Luis Obispo for lunch, and the winds on the ground were 17 gusting to 22. The doors didn’t budge, the new struts held them up in the strong wind just fine. I am glad I replaced them before that trip!